Jennifer A. Navalle’s law practice concentrates on the areas of divorce, custody, support, and domestic-violence restraining orders. In addition to Whipple, Mercado & Associates, she previously worked as a paralegal for Hyden-Zakheim, LLP in San Ramon, where she gained extensive experience assisting attorneys in the areas of family law, civil matters, immigration, estate planning, and trust administration. She has deep knowledge of family court procedures and a commitment to providing effective and efficient representation for her clients. A San Ramon native, Jennifer earned her Juris Doctor from John F. Kennedy University College of Law, obtaining certifications in Children, Families, and the Law; Public Interest Law; and Mediation. She was recognized for her achievements and honored with a Witkin Award for academic excellence. Jennifer received her bachelor’s degree in business administration from California State University, Chico, with an emphasis on management information systems. 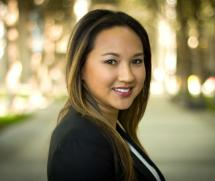 A member of the Contra Costa and Alameda County Bar Association Family Law Sections, her previous experience also includes working for title companies in Walnut Creek and Danville as an escrow officer facilitating real estate and commercial property transactions. When she is not helping guide families through the legal process, Jennifer enjoys spending time with her husband, a Bay Area police officer, and her labradoodle, Maui Joe. She is an active member of her CrossFit gym and finds solace in her yearly trips to Maui.